A lot of people want to start a business in the beverage industry, so the market continues to innovate, there are a lot of brands. So open tea shop to join in which brand is good? That's what a lot of people want to know. 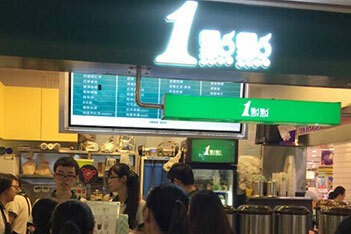 A little milk tea, as a popular brand in the industry, has always had a good development prospect. Choosing a little milk tea to join the project business can make people easy to operate. A little milk tea based on authentic milk tea, combined with the different tastes of modern people after innovation and improvement of a new milk tea drink. It breaks the monotonous taste of traditional milk tea, and brings a variety of milk tea flavors to the majority of consumers who love delicious food. Moreover, the taste is very pure and meets the public demand, which is naturally welcomed and recognized by the majority of consumers. Moreover, a little milk tea is a light investment and entrepreneurship project that can meet the diversified entrepreneurial needs of mass entrepreneurs. It has a very flexible investment model and business model. The store scale can be large or small, and the investment capital can be more or less. This not only helps investors reduce the capital expenditure when investing, but also reduces unnecessary operational risks. Join a little milk tea conditions is also very simple. Franchisees are required to understand the living habits of consumers who like tea and be able to devote themselves to this cause. Obey a little milk tea business philosophy and management system. Store decoration within the decoration to meet the specifications of the headquarters to carry out decoration design. Personnel also need to be trained, such as store managers and cashiers. On the face of a little bit to join the introduction of the project, I believe we have more ideas. Now the development of the beverage industry is good, a little milk tea investment is not big, so that you do not have entrepreneurial pressure, and the headquarters has more support to open stores, so that your investment becomes simple. At the same time, the headquarters is also developing more kinds of drinks to bring more surprises to entrepreneurs. Have join in intention to rise so! 版权所有©2011 生根餐饮管理（上海）有限公司 Taiwan All Rights Reserved.